John Harrison claimed the £280 first prize in the Whitby Town FC weekly members draw, held at the Hart Inn. Heidi Franklin and Rachel Swales both won £140. £280 - 4515, John Harrison, Hinderwell Service Station. £140 - 4664, Heidi Franklin, Royal Hotel. £140 - 3215, Rachel Swales, Anchorage Guisborough. 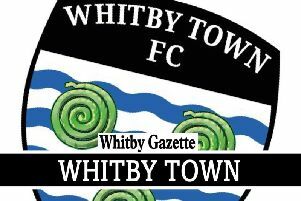 Next week's draw to be held at Whitby Town FC on Thursday January 19. In addition every 13 weeks there will be an extra £1,000 prize. As a member of the draw you are also part of the club’s national lottery syndicate in which the club invests £50 per week and as a member of the draw you are also a social member of the club and entitled to use the bar and lounge free of charge for your function. If you wish to be a member please telephone Graham Manser on 07966241344.